This year's JAMB examination comes with so many told and untold stories. Could it be as a result of the delay in the sales of forms or any reason I don't know of? Well, let me tell you this, you really need to be very careful as you proceed with the 2017 UTME registration because there are many fraudsters out there. The worse part is that the fraudsters are even owners of accredited CBT registration centers. Household demons are the most dangerous you know. It is obviously obvious that the renewed partnership between the Joint Admissions and Matriculation Board (JAMB) and the Nigerian Security and Civil Defence Corps (NSCDC) has begun to yield result with the arrest of five alleged registration fraudsters who had been sabotaging the efforts of JAMB to conduct error free 2017 Unified Tertiary Matriculation Examination (UTME). 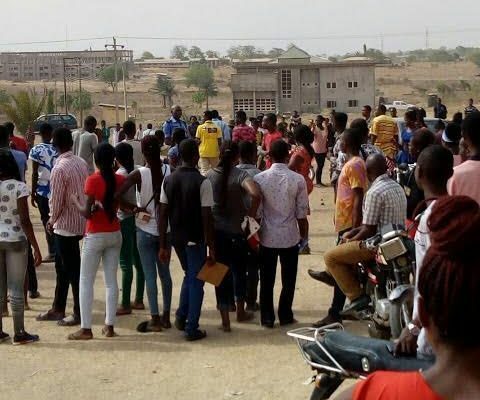 The fraudsters were arrested at various locations where they were allegedly defrauding candidates with fake and unapproved registration processes that might be noticed on the day of the examination. 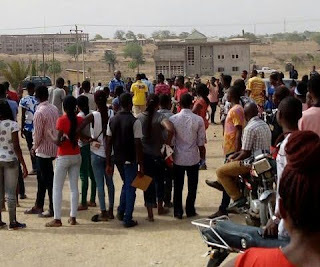 According to JAMB's spokesman, Dr. Fabian Benjamin, the fraudsters were arrested in Oyo, Ogun and Maiduguri by officers of the NSCDC and were brought to Abuja where they made startling revelations in the presence of the Commandant General of NSCDC, Alhaji Abdullahi Gana Muhammadu. More worrisome is the massive investment by E- Kindle CBT centres located in Oyo and Ogun states as well as their co-travelers in Kwara State to manipulate the Airtel router we are using to perpetrate all forms of unwholesome practices. They register candidates without proper biometrics which implies that such candidate would have difficulties with verification during examination if not corrected immediately. If not, how would one justify the investment of over N20 million to construct a radio platform just to hack into the JAMB’s registration portal if not to destroy the entire system and put JAMB in bad light? It is true that JAMB had given access code only to accredited CBT centres to register candidates. However, some operators allegedly used the privileged information at their disposal for monetary motive. These registration fraudsters deployed fake biometric capturing mechanisms and super-imposed registration slip just to satisfy the curiosity of innocent candidates that their registration was successful and on the day of examination such candidate’s data would either be edited or not found on the JAMB data base and such candidates won’t be allowed for the exam. Are you a jamb candidate this year 2018 or you have not seen your result and you have any difficulty on how you will go about the examination you have to worry no more okay because Mr Paul is here to help you out with whatever your issues may be all you have to do is to Contact him on 09069778443 or 07069309233..for anything you have to discuss with him,also know that he can also help you with your CBT question and answer,and also upgrade your jamb score to whatever choice you want he's 100% guarantee i have testify to that myself you have to waste no more time on writing jamb over and over again,just contact him right now and get your 250 above okay..